22 1985 (Fri.) Opening of Maesyfelin Chapel of Rest on the Netpool. 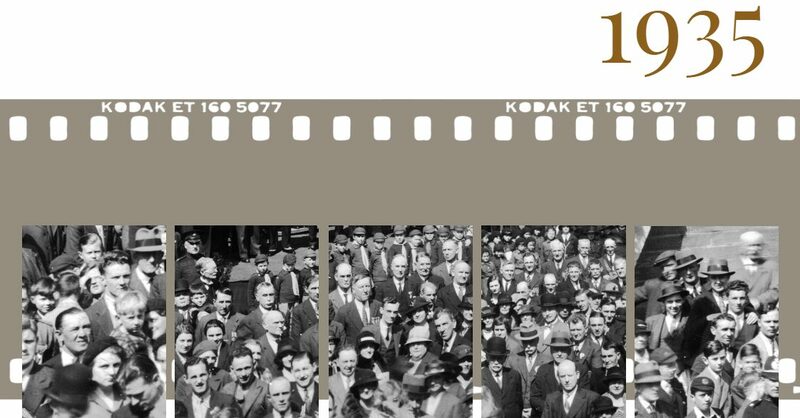 14 1902 (Fri.) Presentation of the mayoral chain to the Borough, at the Guildhall at 11.30. The donor was the Revd R. B. Jenkins, rector of Llangoedmor, representing his late father Ald. R. D. Jenkins, Priory and Cilbronnau. The lucky mayor was Capt. J. H. Williams. 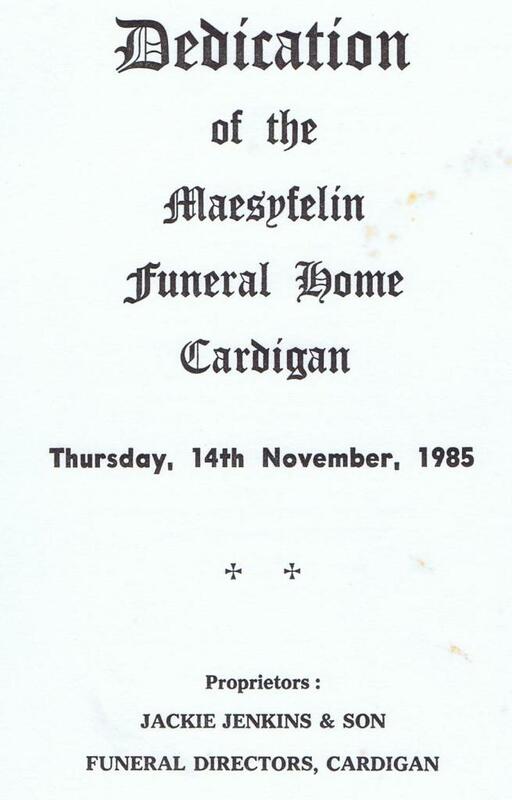 14 1985 (Thurs) Dedication ceremony of the Maesyfelin Funeral Home. 28 1877 (Tues.) Contract (£204) for building North and West walls of the cemetery given to Messrs. W. Evans & John Thomas, Cilgerran.